Isn’t there something so wonderful about holding a hand-written letter from the mail? It becomes a little treasure which is often saved and read again and again. Can you imagine how excited the members of the Church of Thessalonica must have been to receive this letter from the Apostle Paul? He tells them to continue to encourage one another and build one another up. This is at the heart of evangelization. Saint Teresa of Calcutta, whose feast we celebrate today, is a magnificent example of evangelization. Jesus invited her to “Come, be my light” and this light radiates especially bright today, on this twentieth anniversary of her death and entrance into eternal life. Mother Teresa joyfully lived the Consecrated Life, following the Evangelical Counsels of chastity, poverty, and obedience. She encouraged others to join her as Missionaries of Charity, and their religious family today includes active sisters, contemplative sisters, religious brothers, priests, co-workers, and lay missionaries. Their mission is to satiate Jesus’ thirst from the cross, which is the reason why you will find His words, “I thirst,” written beside every crucifix in their chapels around the world. Sisters, have you experienced Jesus’ look of love? Have you set aside the time today to be with Him in your heart? What are the loving words He speaks to you now? When we receive Jesus’ love in the encounter of prayer, then we are strengthened to go out and love with His Heart. Every single person we will encounter this day needs encouragement. Who is He inviting you to love? Be attentive and generous; write a letter, make a phone call, stop in for a visit. Be Christ to the poorest of the poor. 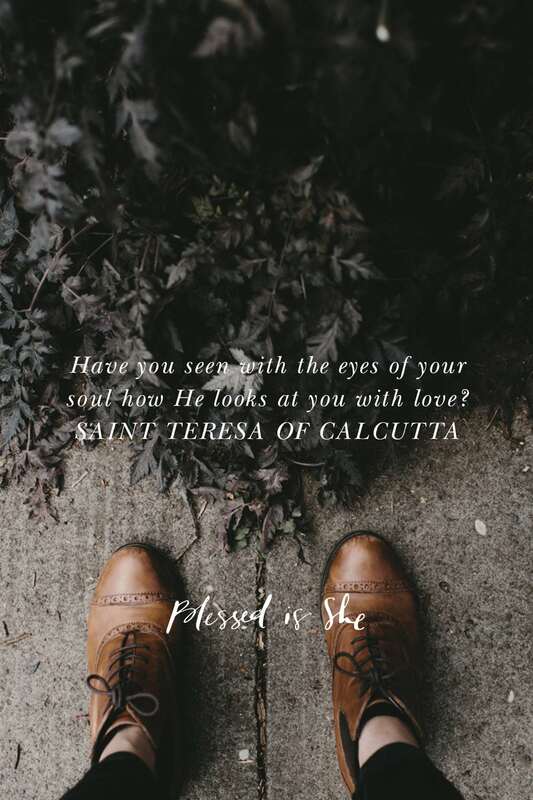 Sisters, have you experienced Jesus’ look of love? Next Post Not Now . . . But How About Now?